Seoul(Hongdae Yogakula), Ilsan, Sanbon, Daejeon, etc. Cleansing body, mind, and Soul thoroughly by Jivamukti Twisting! WS内容：Turning it upside down and see and feel things right! 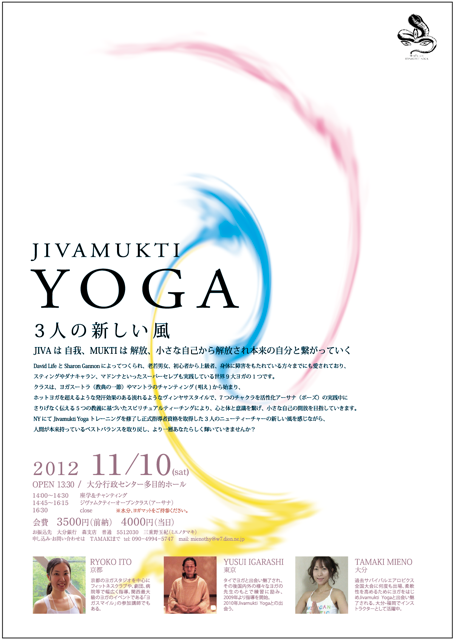 "ジヴァムクティ　ヨガ　love flow 8"
Jivamukti Yoga is one of the nine internationally recognized styles of yoga. A vigorous style of Hatha Yoga Jivamukti relies upon asana as one of its main expressions and tools. 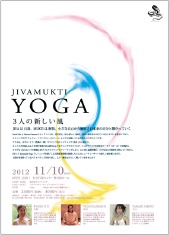 We will explore asana along with the 5 tenets of Jivamukti Yoga: 1.Ahimsa 2.Bhakti 3.Meditation 4.Nada 5.Scripture. When you stop harming others, others will cease to harm you. Copyright 2009 Jivamukti inc. All Rights Reserved.